On our one-day visit to Vermilion for the VHS Class of ’75 reunion, we spent the night in rooms in Linwood Park. It’s the first time I’ve been to Linwood Park, or even heard of it, and I’ve been going to Vermilion for about 40 years. Linwood Park describes itself as a “family park,” but it really reminds you of an old-fashioned American summer colony. 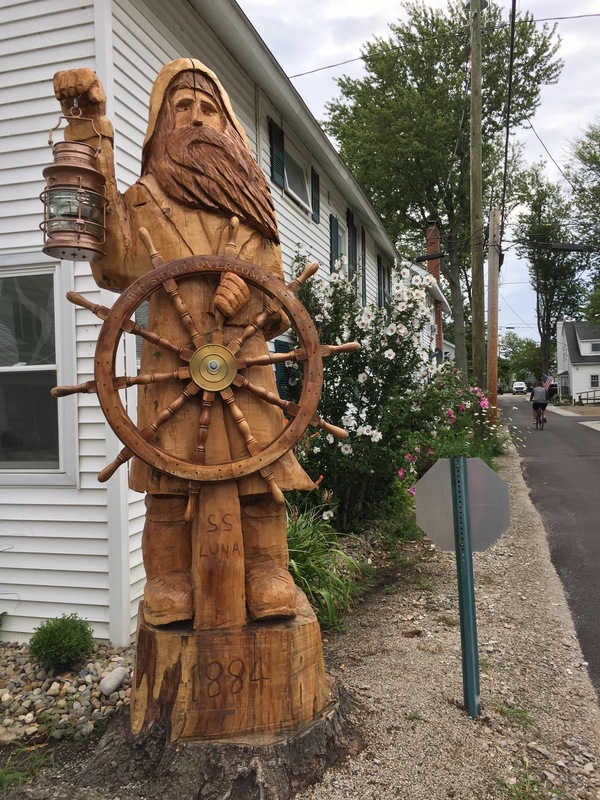 Located right on the shores of Lake Erie, it is a quiet enclave of white wooden cottages with lots of kids playing outside on the wide, shaded lawns, a nice beach, a small store, a candy store/grill/ice cream shop, and a tabernacle. We stayed in rooms above the ice cream shop and treated ourselves to the beach before and after the reunion. 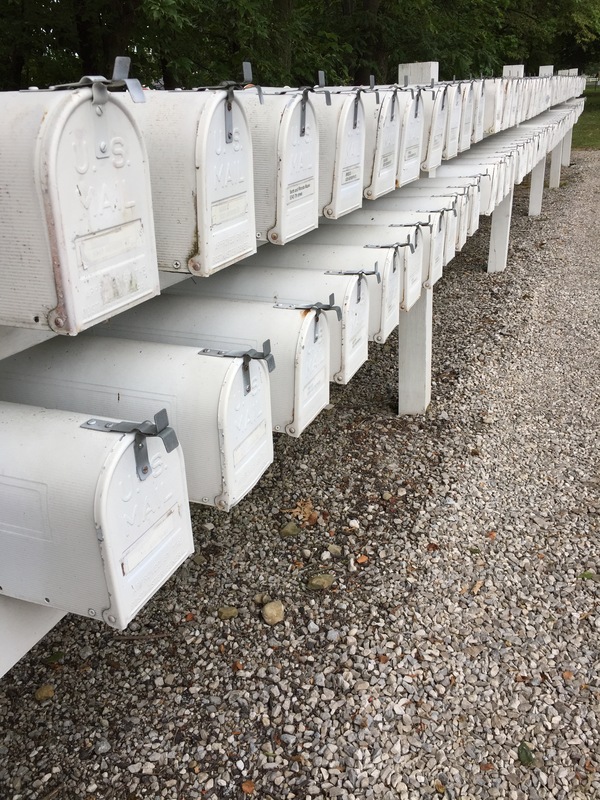 Visiting Linwood Park is like taking a throwback journey to an earlier, more relaxed, pre-cell phone and social media America, when riding bikes and playing on a playground and treating yourself to some penny candy was all a kid wanted on a fine summer’s day. It’s hard to believe it’s still here — but it is, just like it’s been for more than 100 years. It’s worth a visit. Last night we attended Kish’s 42nd high school reunion. That’s the one where everybody sheepishly owns up to having turned 60 but likes to think that their inner age, and ability to have some fun, is a lot closer to what it was in their senior year. 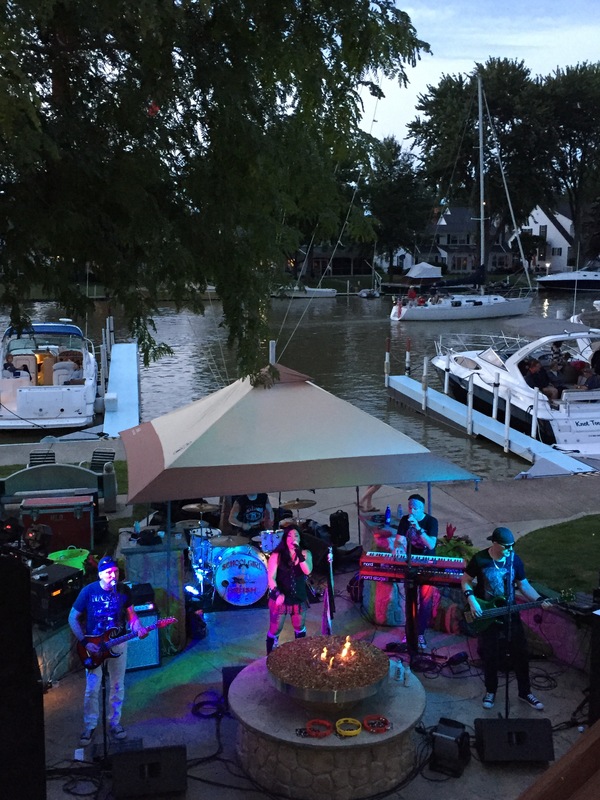 The evening started at the Vermilion Boat Club, which featured a pretty good band called School Girl Crush that delivered credible covers of AC/DC and Kansas songs as boats sailed past behind them. The festivities then progressed to the local VFW and American Legion halls. Along the way there were lots of squeals and hugs, women introducing themselves by their maiden names, oft-told stories about class tragedies and scandals, dancing, Fireball shots, and a conga line that wended its way past the bemused vets at the VFW. In the VHS Sailors Class of ’75, the class spirit lives on, long and strong.